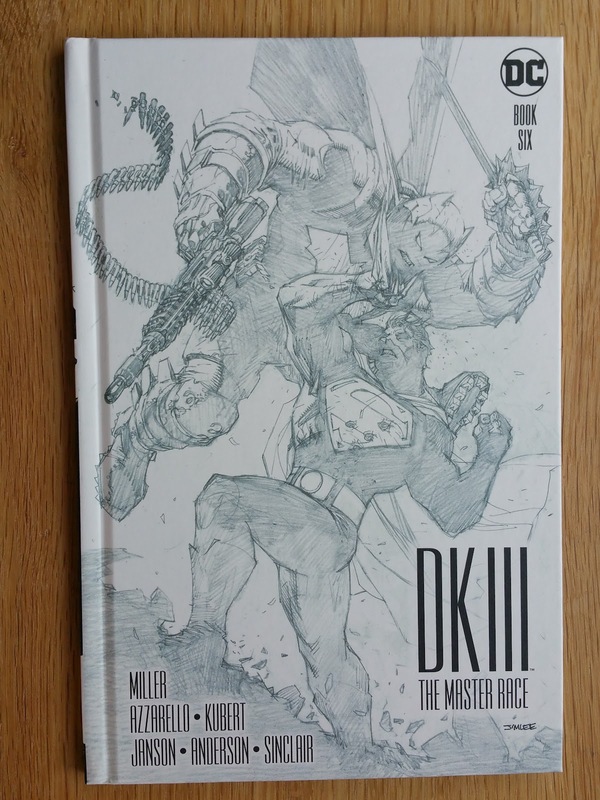 I have updated the article dedicated to Dark Knight III Collector's Edition with issue #6. This series continues to accumulate delays, which is not a big deal for me. But as noted before, since issue #4 there were only 23 pages instead of 28 for the main story, and this count has fell down to 20 in this issue. This time, this was partly compensate by reinserting the cover gallery, but still less variant covers than what is features in the digital edition. The story is still very good, but this so called collector's edition is quite a deception.